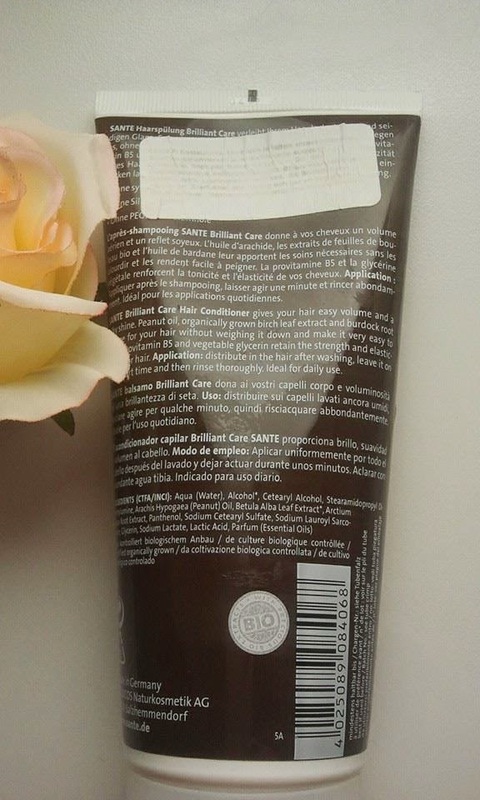 today I would like to review Sante Brilliant Care Hair Conditioner. 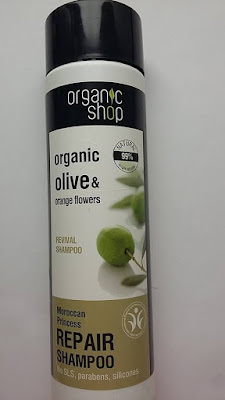 It is one of my favorite natural hair conditioners. It will give your hair volume and lovely shine. I have repurchased it already three times and if it was possible I would always have it on my bathroom's shelf. 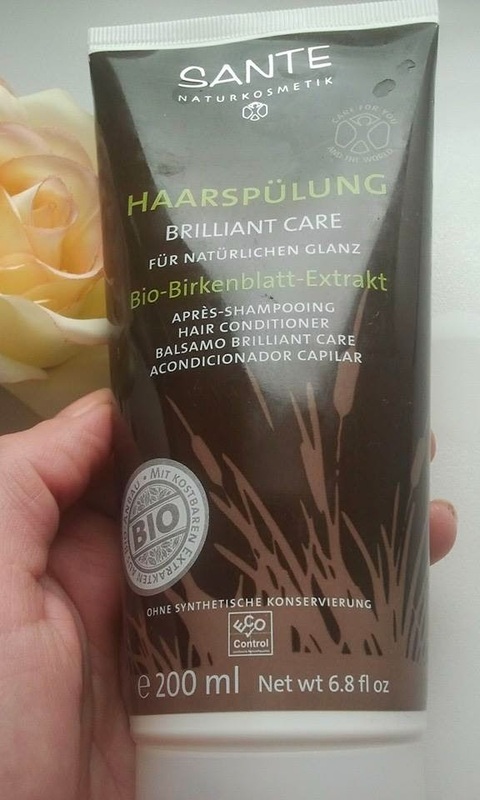 The Brilliant Care Hair Conditioner from Sante contains many fantastic ingredients: organic birch extract, peanut oil, burdock root oil, Pro-Vitamin B5 (panthenol) , vegetable glycerin and lactic acid which help to restore hair's vitality and flexibility. After the application the hair is as smooth as silk. It feels like if you had used silicons but there aren't any. The conditioner will detangle your hair making it easy to comb. 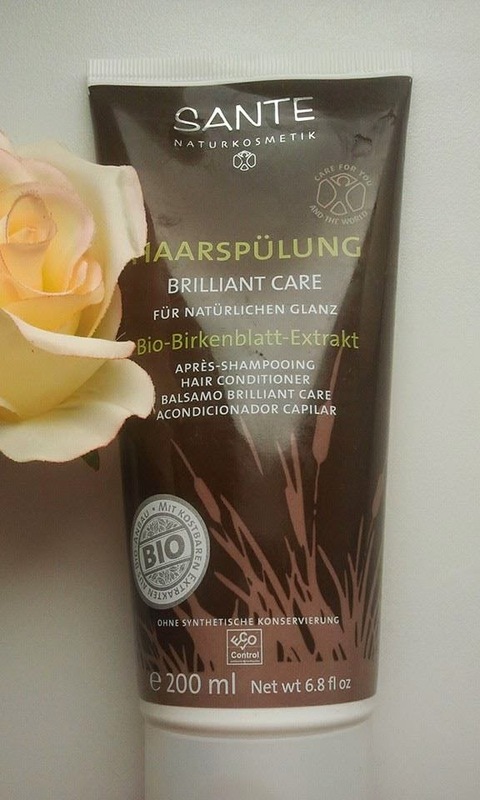 You will feel detangling and smoothing action the moment you apply the conditioner. The conditioner works incredibly fast, like a magic. The hair just soaks up the product:). 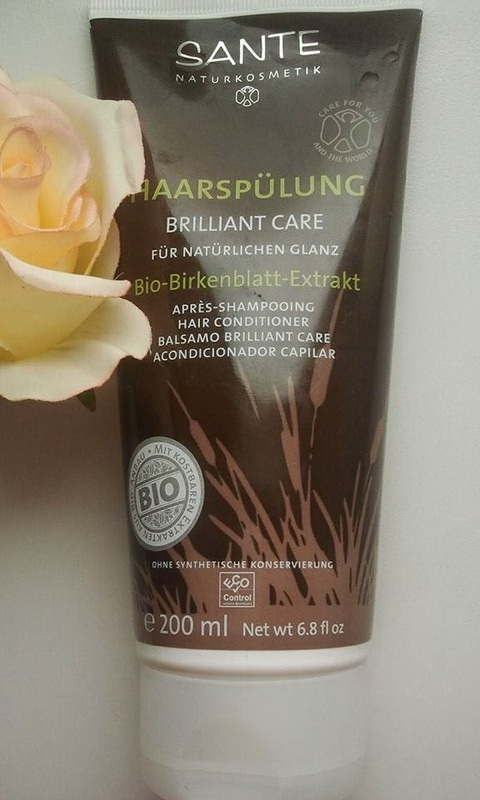 Sante Brilliant Care hair conditioner is ideal for daily use. The consistency is quite runny and one pack lasted me for about three weeks of daily use. How I use it: I apply the conditioner to towel-dried hair after washing, leave it for a few minutes and then rinse thoroughly. The conditioner costs about 10-12 euros for 200 ml. INCI: Aqua, Alcohol, Cetearyl Alcohol, Stearamidopropyl Dimethylamine, Arachis Hypogaea (Peanut Oil), Betula Alba, Arctium Lappa, Panthenol, Sodium Cetearyl Sulfate, Sodium Lauroyl Sarcosinate, Glycerin, Sodium Lactate, Lactic Acid, Parfum (essential oils).